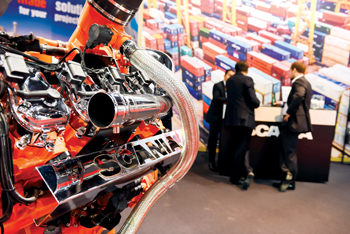 The annual event provides an interactive platform to connect and network with shippers, carriers and heavy transport specialists; generating informed discussions on the opportunities and challenges facing the global and regional project cargo sector. The newest Middle East Aviation Show, focusing on cabin and VIP Interiors, in-flight entertainment and in-flight catering. A trade show for food and beverage, hotel, refrigeration and food service equipment, hotel supplies and services, food processing machinery, bakery and confectionery products and equipment, disposable items and hospitality info systems. The largest rail conference and exhibition across the Middle East, North Africa, Indian Subcontinent & & Central Asia. AccessAbilities Expo features amongst others daily living aids, personal care and hygiene, nursing and medical care, leisure, sports and recreation. The world’s leading power event brings together leading manufacturers, global experts, governments, procurement, project managers and contractors to drive cost-effectiveness and efficiency and move projects forward. PlastiCon provides a view on trends and developments in the regional and global plastics industry including detailed information on resin demand, future growth, end use patterns and new investment opportunities. The Gulf Safety Forum 2019 will bring together key decision-makers from end user organisations, technology developers and service and equipment providers to encourage a better understanding of how best practices and latest technologies can lead to increased safety performance. The sixth edition of OPEX MENA 2019 will gather major operators from the region to share case studies that outline their challenges, successes and key learnings.